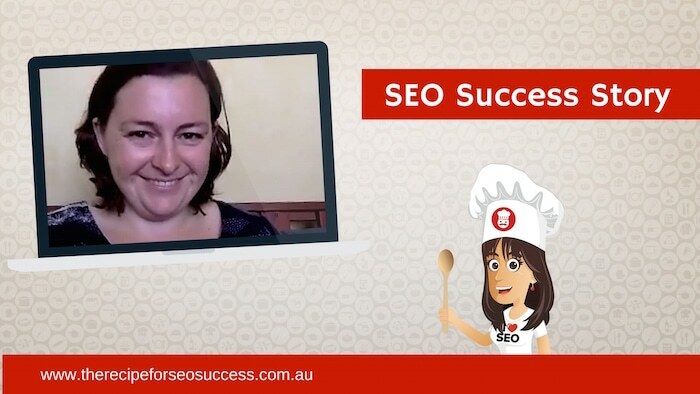 Today I’m talking to Angela Denly in my ongoing series of case studies from students from the Recipe for SEO Success eCourse. 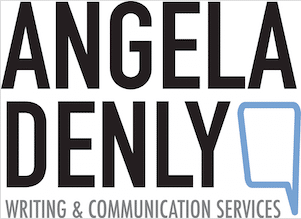 Angela is a copywriter based in the northern beaches of Sydney. She specialises in small business copy, writing for not for profits and her niche is in the food and beverage industry. 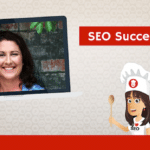 Today Angela is going to share her SEO journey, the worry she had for SEO before she got stuck in and everything she’s learnt along the way. As well as some pretty impressive results when it comes to return on investment. 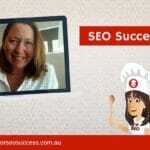 I’ve been in business for myself for about 2 years now – I’m a copywriter. Prior to that I worked in public relations with some technology PR agencies so I mainly work with small businesses and really love how rewarding it is to help people grow their business through some clever copy. I kinda had this idea in my head that SEO was kind of like a dark art and that it was a bit elicit and really a good thing to be doing. I don’t know why, I just had this kind of view – fly by night dodgy brothers’ type stuff. You don’t know what you don’t know so I didn’t really know. I kinda knew that you should put keywords in copy but I didn’t know where. I didn’t know anything about title tags or meta-descriptions or how to use keywords effectively in copy. 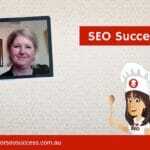 So I didn’t feel confident to call myself an SEO copywriter because I didn’t know enough about SEO. I really knew enough to be dangerous and nothing more than that. Like a lot of people, the big reservation for me was the cost. At that point in time, I had had a big fat zero enquiries from my website and the thought of spending a thousand-ish dollars to try and build some traffic that wasn’t there already – I was like – this is a big call. And at the time I was subcontracting to someone else and I asked if they would maybe pay some of the costs and they said no. And I was like – okay alright, well I’m gonna just do it. It was a big, big call to put that much money behind my business cause I hadn’t made that sort of investment to date. You’re pretty much making a line in the sand that I’m going to build my business and I’m going to back myself and start to make the plan to shift away from working under someone else and really going after it myself. So I’ve been fully – like 100% – working for myself since April this year. Each month I’ve matched what I was making on a part time basis. So I got $9000 worth of work that I can directly contribute to doing the course, basically from leads coming through my website. And then a further somewhere around $4000 worth of work that didn’t convert for various reasons. Then there’s work that’s come on top of that through word of mouth and direct referrals to me and stuff. But there’s $9000 I can directly attribute to having done this course. The SEO copywriting aspects obviously. Learning where to effectively use keywords. 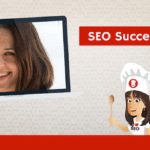 I think the big thing for me was going in – I saw an immediate result from going in and writing title tags and mega descriptions, which I didn’t have so I pretty much saw an immediate result from that – that was a big thing for me. The technical information was really helpful and I think I’ve discussed with you that I’m planning to redo my website over the next month or so. So now I feel like I can create a website that has those strong, technical foundations right from the start. 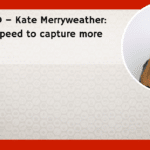 My website is not bad but it’s got room for improvement – it’s a bit slow. So I know that when I rebuild it, I can get those technical foundations right, right from the start. Yeah I’m so much more confident in how I approach SEO. Basically, as part of all my website copywriting packages now, I include some keyword research. I didn’t know how to do keyword research before – I didn’t have a clue. So now I know how to do that. I know how to recommend stronger keywords for all my clients that have better track feed or a better chance of them to rank for, depending on what their goals are. I feel like I can more confidently advise my clients and provide them with better copy that will achieve better results for them.